Resource > 4K Media > How to Burn 4K Movies to Blu-rays/4K Ultra HD Blu-rays? Summary: If you want to burn 4K movies to Blu-rays/4K Ultra HD Blu-rays that can be played on a UHD Blu-ray player, you are right to come here. Here we will give you the detailed steps of burning 4K movies. 4K Ultra HD Blu-ray continues to dominate as the format with the best overall image quality, at least as far as consumer grade products are concerned. While several companies are already busy working on 8K TVs, it’s going to take a few more years before these displays will be widely available to consumers. Meanwhile, 4K UHD displays are becoming increasingly more popular, as are 4K UHD Blu-ray players. Both the player and the compatible Blu-ray discs can be fairly expensive but definitely worth the investment if you’re a movie lover who cares about quality. Having said that, you don’t necessarily have to break the bank in order to enjoy all the latest movies in glorious 4K UHD. Assuming you already have a 4K UHD Blu-ray player, your main concern at the moment is getting your hands on compatible discs. Not many people know this but you can actually burn 4K Blu-ray discs by using digital movies that have a different format. This allows you to upgrade the quality of the movie so to speak. Needs to say, you’ll need a specialized tool that lets you burn 4K Blu-rays in this manner. That tool is DVDFab UHD Creator. We’re going to talk about how to burn 4K movies in just a second but first, it’s important to note that the movies you create with this software are guaranteed to work with modern 4K UHD Blu-ray players. Naturally, the software doesn’t necessarily have to be used just for movies. Maybe you have some 4K videos that you’ve filmed yourself and want to be able to play them on your 4K UHD Blu-ray player. This is the perfect tool for that job too. The software gives you multiple output options to choose from and can even preserve HDR10/Dolby Vision quality. In terms of output choices, you have four different modes to choose from. These modes are used to indicate the size of the output file and are very useful for when you want to burn a 4K video to a Blu-ray disc of a certain size. For example, the BD25 2160p mode is used to burn a BD25 disc, the BD50 2160p option is ideal for a BD50 disc and so forth. You can burn 4K movies/videos to blank discs using all available modes except BD100 2160p, which can only store the output files locally. The conversion process is very fast but as you might expect, it will take significantly longer to burn 4K movies/videos to a BD50 disc than a BD25 disc. Now that you know more about the software let’s take a look at how you can put it to good use. 1. Start by opening the 64-bit version of DVDFab 10 and then go to the Creator module. Use the “+” button to navigate to the location of the movie you want to burn or simply drag and drop the input file in the center area. 2. Go to the Profile Switcher located in the upper left corner to make sure you’re using the correct mode. 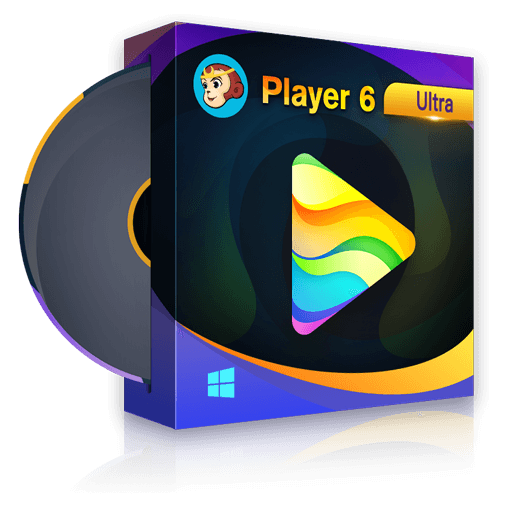 DVDFab is able to create other types of discs as well but in this instance we want to burn a UHD 4K Blu-ray movie so we’re going to pick the UHD Creator mode. 3. At this point, you could already go ahead and burn the 4K Blu-ray disc but it might be a good idea to take a look at some of the options before you do that. First off, make sure to choose the audio track and subtitle (or add external subtitles) if needed. Then, click the little wrench button to open the Advanced Settings menu. There are some important options here like Video Quality and Processing Mode but the option you’ll want to pay special attention to is Output. When you burn the 4K Blu-ray movie onto a blank disc, this option will determine what sort of disc it can be fitted on. 4. Finally, it’s time to decide if you want to directly burn the 4K Blu-ray movie onto a blank disc or store it locally. Look towards the bottom of the screen to find the relevant options for burning, saving as a movie folder or saving as an ISO image. If you picked the BD100 2160p option for the output you can only save the movie locally but with any of the other options you can go ahead and burn the 4K Blu-ray movie onto a disc. Once everything looks good, simply hit the Start button and wait until the process is complete. Hopefully, this article helped you get a better idea of how to burn 4K movies to a disc that works perfectly on your 4K UHD Blu-ray player. As you can see, the process itself is pretty simple but you do need to have specialized software in order to pull it off. DVDFab UHD Creator is the perfect tool for this job and you can even try it for free thanks to the trial version.